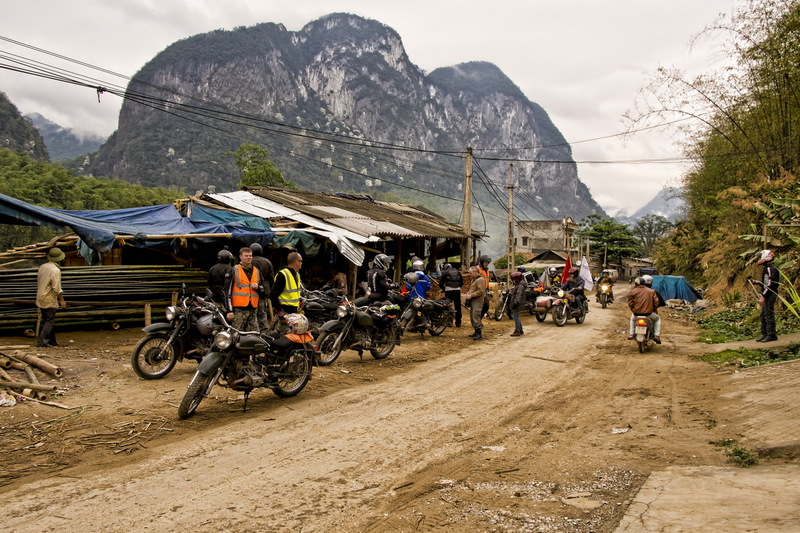 Ural on the Ho Chi Minh Trail… After the excitement of heading out from Hanoi with Charlie Boorman, and the overnight stay in the stilt houses of Mai Chau. It was time to get in the saddle of the Russian Urals and do some real riding. 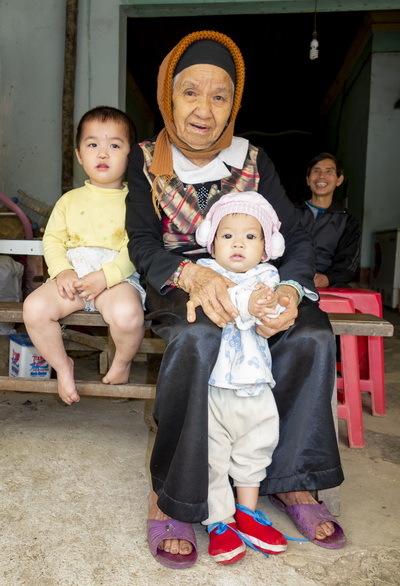 This time over the mountains to the city of Vinh, near to the birthplace of Ho Chi Minh. 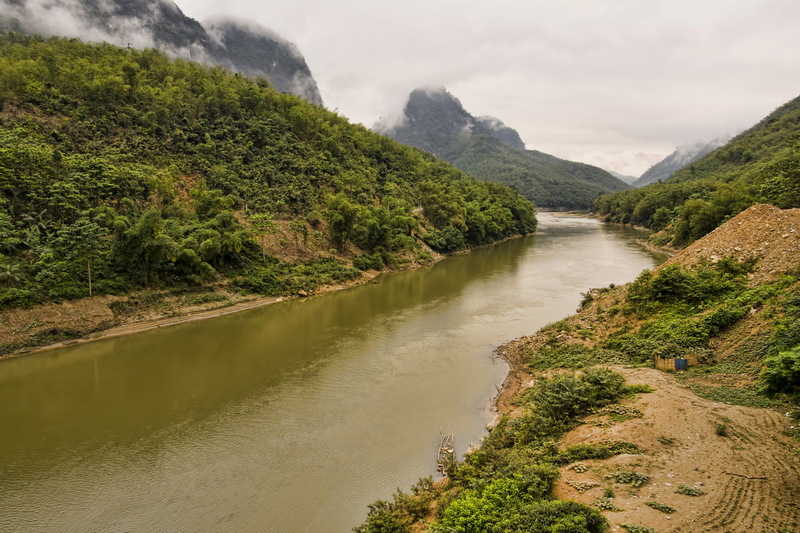 The journey from Mai Chau to Vinh took us south along a winding road that follows the banks of the Ma River. 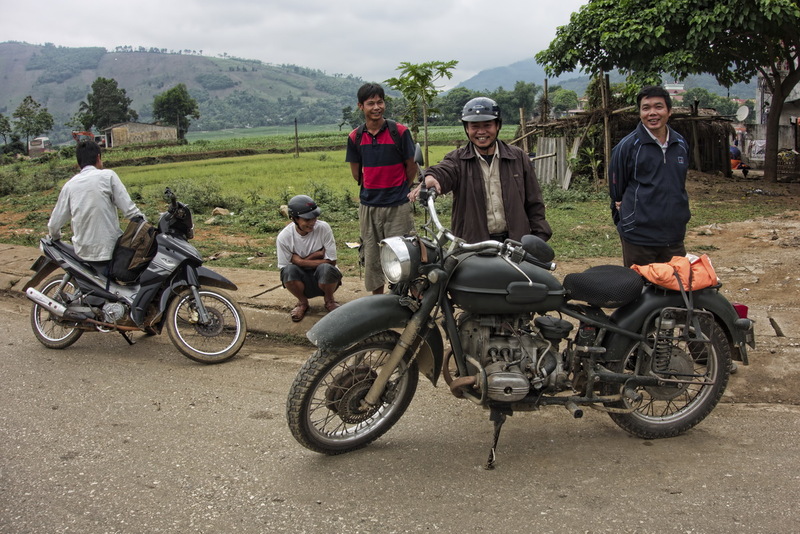 Before heading in to some remote back country, not far from the Laotian border. The scenery was quite something. But by far the highlight for me was the periodic stops for fortifying Vietnamese coffee in country villages. We were very much the center of attention everywhere we stopped. And it was pretty clear that groups of foreigners on large, rather strange, motorcycles did not pass through on a regular basis. The ride, at just over 300km, was the longest of whole trip. I have to say that by about 200km my new-found enthusiasm for the Russian Ural was starting to fade a little. Basically what dawned on was the realization that I was on-board a truly digital motorcycle! There is very little sensitivity of the road transmitted to the rider. So where on a modern bike you get some early warning that you are pushing the envelope. With the Ural such luxuries are not included. Fairly obvious really when you consider that you are riding something that was designed in the 1940’s. But it was a lesson I think we all learned that day. Plus it was one we all heeded as nobody actually came off during the whole trip!